From Eloise's adventures at The Plaza to the 100th anniversary of women's suffrage in New York to our groundbreaking exploration of the Vietnam War, we journeyed through countless stories throughout U.S. history over the last year. Join us at the Museum to dive into the past! See what's on now and what's coming up at nyhistory.org/exhibitions. Plus, stop by all year long for riveting programs. Check out our events calendar at nyhistory.org/programs. 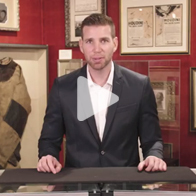 Magician Joshua Jay—holder of a Guinness World Record in card tricks—presents classic illusions as seen in our exhibition Summer of Magic: Treasures from the David Copperfield Collection. Learn more about New-York Historical's Summer of Magic at nyhistory.org/magic. From the Norman Rockwell Museum. Franklin D. Roosevelt’s call to defend freedom worldwide through the Freedom of Speech, Freedom of Worship, Freedom from Want, and Freedom from Fear—now considered a sublime moment in rhetorical history—did not turn out to be the immediate triumph he envisioned. It would take continuous efforts and scores of patriotic artists to give his Four Freedoms new life. Most prominent among them was Norman Rockwell, whose images became a national sensation in early 1943 when they were first published in the Saturday Evening Post. 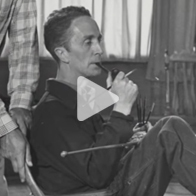 Learn more in this documentary from the Norman Rockwell Museum, and see Rockwell's original works on view in our exhibition Rockwell, Roosevelt & the Four Freedoms. 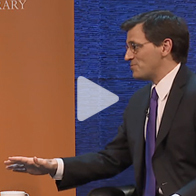 Presented as a part of the Presidential Historical Commission at New-York Historical Society, Douglas Brinkley, Presidential Historian at the New-York Historical Society and CNN, and Peter Baker, New York Times chief White House correspondent, discuss Barack Obama’s legacy. 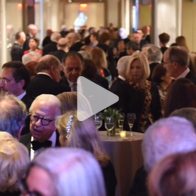 Since 1856, the New-York Historical Society has hosted its annual Strawberry Festival luncheon, celebrating awardees' contributions to public life. Proceeds from the event support the organization's crucial education programs for young people. 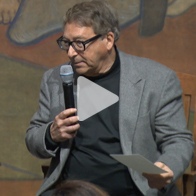 Renowned shoe designer Stuart Weitzman was honored with the 2018 Distinguished Service Award. Part II features a conversation between Stuart Weitzman and Vanessa Friedman, New York Times fashion director and chief fashion critic.